A l'occasion de la remise de l'ASC Lifetime Achievement Award à Sven Nykvist en 1996, l'Amercian Society of Cinematographers avait publié un article qui synthétise bien l'apport unique de ce "maître de la lumière". Sven s'est éteint dix ans plus tard, le 20 septembre 2006. Ses propos sur la lumière sont ceux d'un vieux sage. L'article est long, mais il vaut la peine d'être lu - et retenu. Sven Nykvist, ASC received the Lifetime Achievement Award from the American Society of Cinematographers at their 10th annual ASC Outstanding Achievement Awards gala. He said he was “surprised but happy” when ASC president Victor Kemper called with the news. His response was typically modest and understated. Nykvist has earned Oscars for Cries and Whispers (1973) and Fanny and Alexander (1983), and a third nomination for The Unbearable Lightness of Being (1988). His body of work includes around 120 films, and he shows no signs of slowing down. Nykvist was preparing to shoot a film in Scandinavia when Kemper called, and he will shoot a film based on a new Bergman script in August. Nykvist’s name is routinely coupled with Ingmar Bergman, one of the masters of modern cinema. Their collaboration stretched over much of three decades. It includes such classics as Persona, The Magic Flute, The Hour of the Wolf, Scenes From a Marriage, Winter Light, Cries and Whispers, Blue Moon, and Fanny and Alexander. But his Bergman films comprise just a small part of his life’s work. Nykvist has compiled around 100 other credits with many other visually oriented directors, including Louis Malle, Paul Mazursky, Allan Pakula, Roman Polanski, Norman Jewison, Phil Kauffman, Lasse Hallstrom and Woody Allen. His work with these and other directors includes Agnes of God, One Day in the Life of Ivan Denisovich, Pretty Baby, Willie and Phil, Cannery Row, Crimes and Misdemeanors, Sleepless in Seattle, What’s Eating Gilbert Grape, With Honors, Something to Talk About and Kristin Lavransdatter. Last year (1995), Nykvist marked his 50th anniversary as a cinematographer. His career, so far, spans half of the history of the cinema. Nykvist shot his first narrative film in Stockholm, Sweden in 1945, when he was 23. The title was 13 Chairs. His work has played a large role in redefining the art of contemporary cinematography. That could be any number of cinematographers talking today. But Nykvist came to those conclusions some 30 to 35 years ago, when he was blazing trails that many other cinematographers would subsequently follow. He says his inspiration came from Bergman, and also from studying paintings at fine art galleries and museums. The previous ASC Lifetime Achievement recipients were Gordon Willis, ASC, Conrad Hall, ASC, Haskell Wexler, ASC, Phil Lathrop, ASC, Stanley Cortez, ASC, Charles Lang, Jr., ASC, Joe Biroc, ASC and George Folsey, ASC. All of them are Americans. Nykvist is the first exception to that rule. 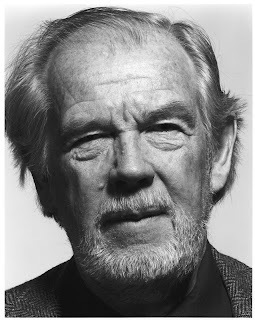 Nykvist was born in Stockholm in 1922. His parents were missionaries, who built a hospital in the Belgian Congo He was a cinema buff as a youth and studied at the Stockholm Municipal School for Photographers. In 1941, Nykvist went to work at Sandrews Studios, in Stockholm as an assistant cameraman. There were only two people on film crews in Sweden in those days, the cinematographer and the focus puller, who was also responsible for still pictures. Nykvist spent some time during the mid-1940s working in Italy as a focus puller. That broadened his outlook. After returning to Sweden, Nykvist started shooting film for second unit crews. He also photographed, directed, wrote, edited and recorded sound for many documentary films. In 1952, Nykvist was the co-director, co-writer and co-cinematographer of Under the Southern Cross, a narrative film produced in the Belgian Congo, based on an experience his parents had with a witch doctor. Around the same time, Nykvist shot a documentary about Dr. Albert Schweitzer in Africa.. In 1953, Nykvist was responsible for photographing The Naked Night (a.k.a. Sawdust and Tinsel). It was his first experience working on a film directed by Ingmar Bergman. Another cinematographer (Göran Strindberg) was scheduled to shoot that film with Bergman. He decided to go to Hollywood instead to film a Cinemascope movie with a much bigger budget. Nykvist recalls that during those days, Bergman was making films for $100,000 with a crew of eight to 10 people and four or five actors. When you talk with Nykvist, he emphasizes simplicity and aesthetic values over imaging technology. Don’t let that fool you. He is a meticulous master of the craft as well as the art. Here’s one example: When Nykvist was preparing to shoot The Unbearable Lightness of Being with Kauffman, they studied black and white documentary footage of what it looked and felt like when the Russian army poured into Prague and crushed a civilian revolt. Nykvist replicated that ambiance by shooting those scenes for the movie in 16 mm black and white. That made the images a little grainy. Next, he made a duplicate negative which closely matched the contrast of the actual documentary film. It was only a few minutes of film on the screen, but when the editor wove it into the fabric of the dramatic story, it gave the audience an emotional sense of place and time. There are subtleties that the audience feels rather than sees in every Nykvist film. In the Unbearable Lightness of Being, for example, he used the architecture of the buildings in Prague as more than background. They were like silent characters -- almost like works of art, while the city was being violated. But it inevitably comes down to faces and eyes, and that holds true whether Nykvist is shooting a serious drama directed by Bergman, or more light hearted entertainment. There is always a story to tell, and its heart and soul resides in the characters and how they relate. Nykvist notes that it takes time for a cinematographer to really learn a face, and to interpolate what is happening behind the character’s eyes. Nykvist also talks about the importance of consistency. He says that his preference during staging is to plan for very long six to eight minute takes because that way you don’t breakup the actors’ performances. It’s more natural, he says. That could be one of any number of cinematographers talking today. Keep in mind though, Nykvist developed and mastered this way of thinking during the 1960s and ‘70s, starting with black and white film, and the special challenges that genre imposed. Nykvist points out that there is never any one path to follow which is suitable for everyone in all situations. He tends not to concern himself with such niceties as the symbolic use of color as an element in visual story-telling, but he also doesn’t deride it. En 1986 Nykvist éclairait "Le Sacrifice" de Andrei Tarkovsky. Nykvist says that advances in imaging technology provide some creative latitude. “If you are shooting a night interior scene, there might be a lot of sources,” he says. But, if you are shooting a daylight exterior, there is only one source, the sun. The question is usually how much should I fill, so it doesn’t get too dark in the shadows. How much is too much? Nykvist shrugs as if to say there is no answer. It is a matter of individual taste. That’s what makes cinematography an art. There is an instinctive ability and a learned capacity for choosing the right type of light. Nykvist generally knew exactly what Bergman had mind without having to parse the script page by page. He says that unless the director of photography understands the artistic intentions of the director, there is no way he or she can perform their mission. With some 120 picture and 50 years of cinematography behind him, Nykvist says that every new film is still a learning experience. He says that he learns from the directors, actors and crew he works with, and that’s a two-way street. Another interesting observation is that with all of the international boundaries that Nykvist has crossed making movies, he has never experienced unsolvable language or other communications barriers. His approach to pre-visualizing is traditional. He reads the script, thinks about it and develops some ideas. Nykvist claims that he isn’t technically oriented. He reduces his approach to shooting to a few basic principals. He trusts his eye and his instincts. He looks through the lens, and if it looks right, he shoots. If not, he adds more light.